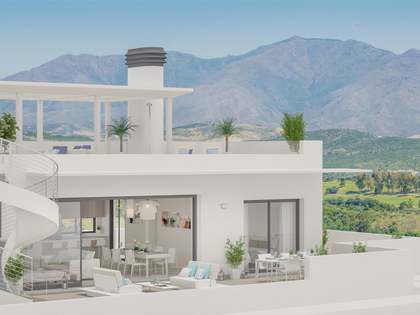 This brand new 129 m² apartment with a 18 m² private terrace is found in an outstanding new development in Estepona, just 375 metres from the sea. 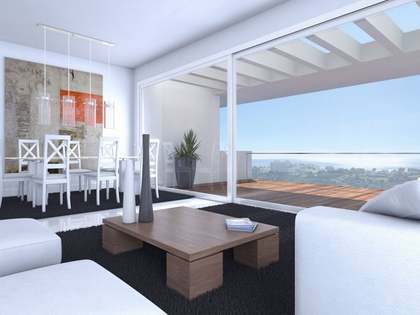 Bright and spacious, this apartment offers an open plan living room – dining room and kitchen with access to the terrace. It has a master bedroom with an en-suite bathroom and 2 further bedrooms that share a bathroom.